The Six Crowns: Trundle's Quest, by Allan Jones, illustrated by Gary Chalk (Greenwillow Books 2010). 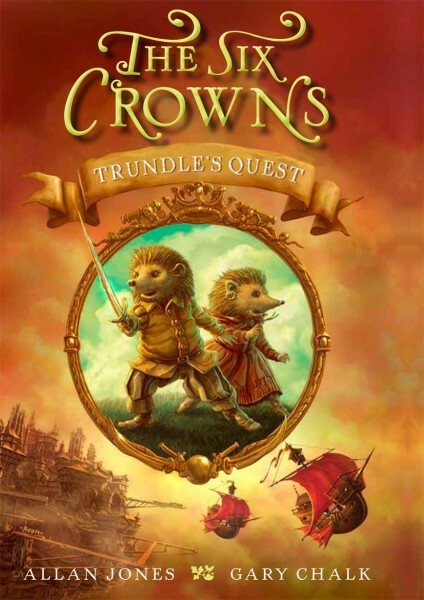 Like many a reluctant hero, Trundle is a bookish homebody of a hedgehog, happy to live his lamplighter life. A mysterious princess/gypsy hedgehog named Esmeralda barrels her way into his life, cajoling him into a quest to find six mythical crowns. I included this in the pirate roundup because the hedgehogs' main adversaries are dastardly pirates in the form of hogs, rats, and shrews. Trundle and Esmeralda manage to elude the pirates, save a mineful of slaves, and test their abilities. 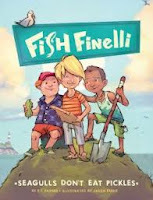 The best part of this book was the relationship between Trundle and Emerald, including their witty banter and their growing friendship. This is a nice introduction to fantasy for young readers. 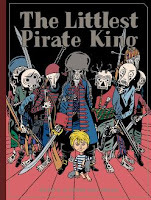 The Littlest Pirate King, by David B. 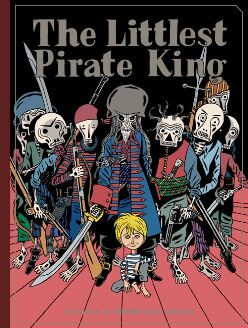 & Pierre Mac Orlan (Fantagraphic Books, 2010, translated by Kim Thompson).This is a slightly (ok, quite disturbingly) creepy graphic novel of a ship of dead skeletal pirates who plunder and wreak havoc on passing ships. One day, after the usual devastation, they find themselves in charge of an orphaned baby boy. They agree to rear him until his First Communion and then slay him to have a dead little cabin boy, but soon they find themselves taking care of him, playing with him, and after a crisis of conscience, deciding to return the boy to the land of the living. But the boy only knows death and dead pirates and does not want to part with the only family he knows. This story is not for the faint of heart or for young children. I really liked "Americn Born Chinese." definitely worth reading. Thanks, Yvonne! I think it would appeal to your dark sensibility.